Lyde Road was originally known as Mead Way and is noted as such in the Terrier of 1589. In 1754 it was referred to in a document as "Master George Prowse's Mead-Way" - George Prowse being the lord of Kingston Manor at that time. The name most likely arose since it was the 'way' or road leading to the meads along the banks of the River Yeo, such as Weir Mead. The word 'mead' comes from the Old English 'maed'. Before grass seeds were obtainable this was the only hay land of the community. It usually consisted of land near streams since that was the only kind of land on which hay grew in any quantity. 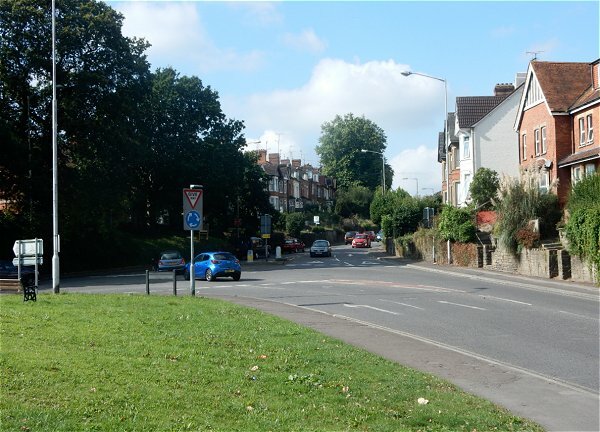 Apart from one or two isolated instances, Lyde Road was not built up until the 1890's and in the 1891 census only three houses are listed between Sherborne Road and Little Lyde Farm. At this time it was called Lyde Lane and was surfaced as far as Little Lyde Farm after which it veered off to the east continuing as Lyde Lane. In the 1890's just two terraces of houses were built either side of Camborne Street and seen in the photograph below. 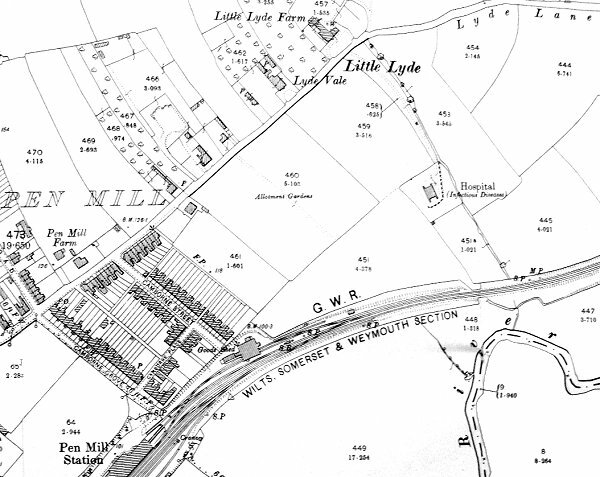 Even at this time, as seen in the 1901 Ordnance Survey map below, Lyde Road still only went as far as Little Lyde. The development of Lyde Road was one of the projects initiated by William Tucker, glove manufacturer and publican of the Glover's Arms. After Tucker's death in 1899 the development was continued by his son William Earle Tucker who later became Mayor of Yeovil. Indeed, Lyde Road was not to be extended further until well after the Second World War. By the mid-1970's it had reached the valley to the south of Great Lyde Farm that was being used as an open landfill site. By this time St John's Road had been constructed, but only with housing to the south and I designed the housing on the north of St John's Road in the late 1970's together with the housing on the east side of Lyde Road, north of Pembroke Close. The estate I designed went right up to the landfill site, by this time grassed over at the end of Lyde Road, but even so the foundations for a small single brick garden wall just three feet high had to go down fifteen feet before we found solid ground. It wasn't until the very late 1970's / early 1980's that Lyde Road was extended northwards to meet up with Mudford Road and the Redwood Road, Cavalier Way and Runnymede Road housing estates were built. On this 1901 Ordnance Survey Lyde Road, running from bottom left to top centre, only went as far as Little Lyde. 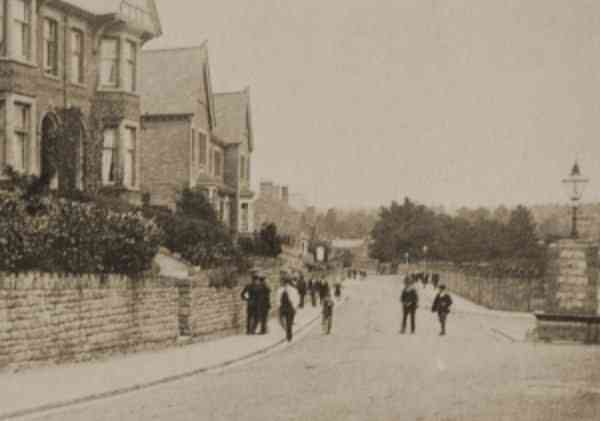 Lyde Road photographed from Sherborne Road in 1906. Note the absence of houses at right. 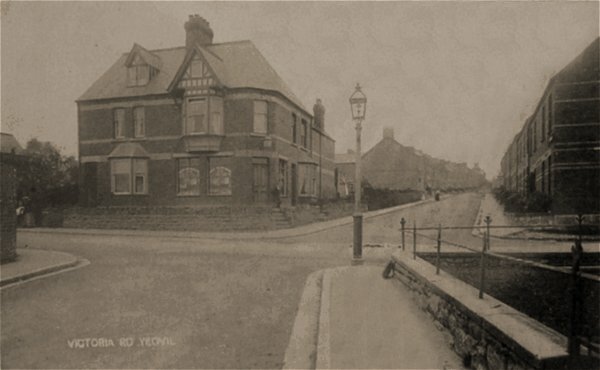 A 1904 postcard of Victoria Road, seen from Camborne Grove with Lyde Road running across the photograph. The corner shop, first opened in 1899, was the second branch outlet of the Yeovil & District Co-operative Soc Ltd, The shop is now a private residence (see Victoria Road). This aerial photograph of 1946 testifies that Lyde Road remained unaltered even after the Second World War. The 1930's semi-detached houses in the photograph below are seen on this aerial photograph at bottom left with the isolation hospital almost at dead centre. 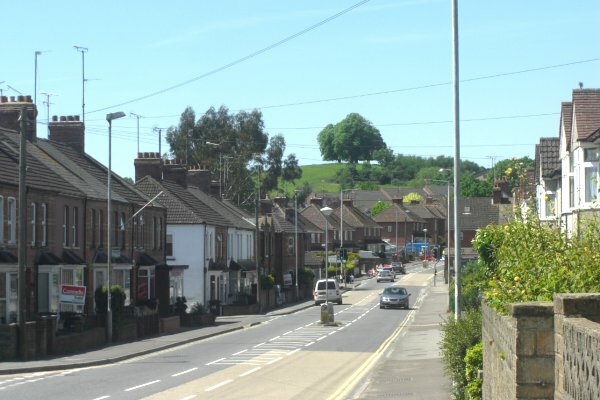 This view of the lower end of Lyde Road looks towards Sherborne Road, with the familiar sight of Wyndham Hill in the distance. The two terraces of houses at left were the earliest housing in Lyde Road, apart from a couple of isolated houses. The other houses, on both sides of Lyde Road did not appear until the 1930's. Photographed in 2014. Lyde Road (at lower right) and the Sherborne Road roundabout looking west. Photographed 18 September 2016, the day before scheduled works to have a light-controlled junction and completely foul up Yeovil's traffic again until next June! 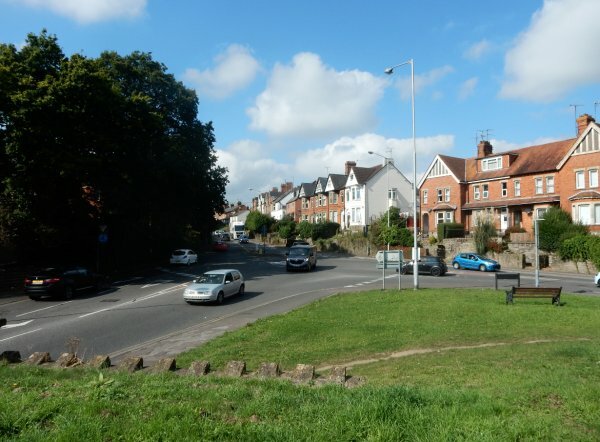 .... and seen from the raised grass area between Sherborne Road (at left) and Lyde Road (at right). Photographed 18 September 2016. 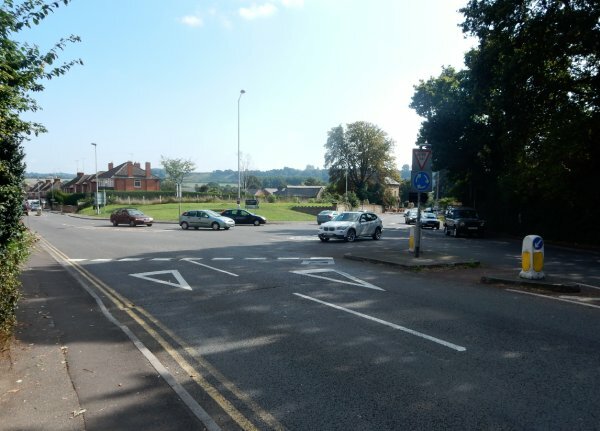 The roundabout seen from Sherborne Road, looking east with Lyde Road at left and Sherborne Road at right. Photographed 18 September 2016.